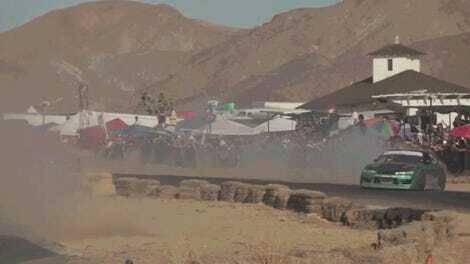 Drifting started in Japan, but it went international a long, long time ago. That said, there is still an obsession with the style of driving first made popular there, and it doesn’t take long to see why. 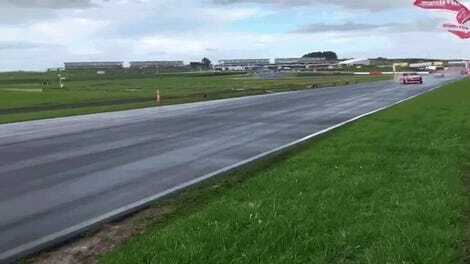 You’re watching Team BURST in action with that mid-drift pass at the internet-famous first turn at Meihan Sports Land. It’s a tiny little track, but the way it’s set up is perfectly conducive to big chucks, backwards entries and super close tandems. Few tracks are quite as well designed for it, and few drifting teams so greatly embrace something like it. Low cars, stylish cars, cars that are built simply and driven hard. It’s easy to say that Japan is the birthplace of drifting, but it’s still a leader in style, as you can see above. What’s funny is that this was shot at an event organized in parts by Japan-obsessed Americans from the West Coast. It was a Super D Cup event (the one that brought Team BURST’s Naoki Nakamura to the States recently), with participation by Team Animal Style, one of America’s top drift teams.